City Commissioner Clayton Lopez speaks at a memorial service for Manuel Cabeza, almost 100 years after he was killed. Manuel Cabeza served in the U.S. Army in World War I. 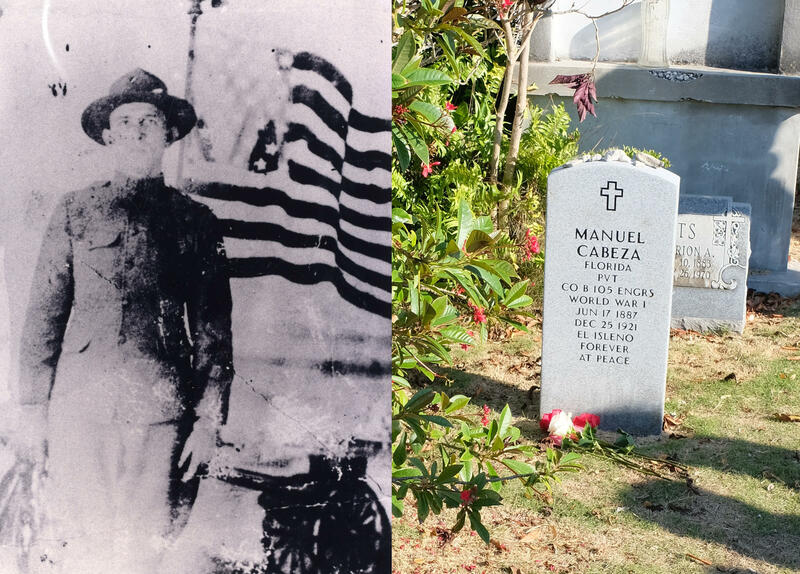 Almost a century after he was killed in Key West, he received a military headstone. On Christmas Day, 1921, a mob including members of the KKK killed a Key West man. His gravesite was neglected for nearly a century. After 97 years, Key West held a memorial service on Saturday for Manuel Cabeza. Members of his family, including his 99-year-old niece, attended the service, along with a Key West Police honor guard, the Monroe County sheriff and four members of the Key West City Commission. Manuel Cabeza was a Key Wester who served as a private in World War I. After the war, Cabeza, who was considered white, was in a romantic relationship with a mixed race woman. It's not clear what happened to her but Cabeza was killed — dragged along the beach and hanged from a tree. City Commissioner Clayton Lopez spoke at the service. He said Cabeza should be remembered not for how he died, but for how he lived. "Remember, Manuel Cabeza lived with conviction. Manuel Cabeza lived with confidence. Manuel Cabeza lived with passion," Lopez said. Lopez said he was the product of a mixed-race union in Key West, thankfully "without the tragedy." His grandfather was Cuban and his grandmother was black. Fellow City Commissioner Sam Kaufman addressed Cabeza's family and said Key West had failed Cabeza, but he would now be honored as part of the island's history. "Today is a day of redemption for us," Kaufman said. "Not only for your family but it is for our entire community." Cabeza now has a military headstone. His niece was given a flag in honor of his service. 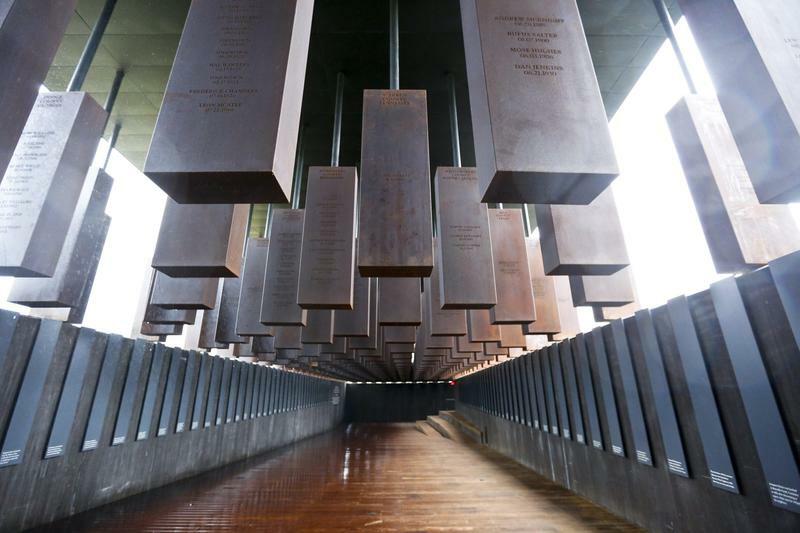 The National Memorial for Peace and Justice opened in Montgomery, Alabama, Thursday. We’ll look at how the museum reckons with America’s history of white supremacy and its victims. The Monroe County Public Library recently received a donation of more than 15,000 photographs from the early days of Key West. The remarkable gift includes documents and memorabilia illustrating the island’s history with images few had seen before. Keep reading for a look into Key West before the Parrotheads took over. In Florida, more black people were lynched per capita from 1877 to 1950 than anywhere else in the south, according to The Equal Justice Initiative. Click to listen to the history behind this story.